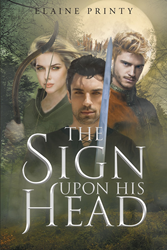 “The Sign Upon His Head” from Christian Faith Publishing author Elaine Printy is the fascinating and enchanting tale that spins the story of love and mystery as twins, Draden and Evenon, face an upcoming war against the renegade, Padrian, who has caused countless acts of deception and murder across the kingdom. Published by Christian Faith Publishing, Elaine Printy’s new book is an action-packed work of fiction about a war that has transpired because of an evil usurper and the peace that two valiant twins have been fighting for. The story has gripping events that will surely hold the attention of every reader. The chain of complex shifts of events is well-written. Printy also incorporates Christian themes on life and love that readers can pick up throughout this fascinating story. View a synopsis of “The Sign Upon His Head” on YouTube. Consumers can purchase “The Sign Upon His Head” at traditional brick & mortar bookstores, or online at Amazon.com, Apple iTunes store, or Barnes and Noble. For additional information or inquiries about “The Sign Upon His Head”, contact the Christian Faith Publishing media department at 866-554-0919.